What does working flexibly really mean? There is one fundamental problem with the word flexibility. What it means to you is something completing different to what it means to others. Employers want you to be flexible to their needs of the business and employees want their organisation to be flexible to their personal needs. Flexibility is just that. It is about being flexible from an employee and employer perspective. It is critical to remember this from the outset and know that each of you need to work together to achieve a win-win. Under the Fair Work Act, employees who have completed at least 6 months of continuous service with their employer, may request a flexible working arrangement. Employers do have the right to refuse a request for flexible work, so it is important to follow the right steps and put your best case forward. Flexible hours of work This is where you may vary your start and finish times. You may work the same number of weekly (or fortnightly or monthly) working hours, compressed into a shorter period. For example, a 40-hour week may be worked at the rate of 10 hours per day for four days instead of eight hours a day for five days. Changes to salary are not required. You may work approved overtime and be compensated by time-in-lieu. It can include ‘flexitime’ arrangements where an employee can work extra time over several days or weeks and then reclaim those hours as time off. Telecommuting You may work at a location other than the of official place of work. A wide range of terms refer to working at different locations, including ‘mobile working’, ‘distributed work’, ‘virtual teams’ and ‘telework’. These are referred to collectively as ‘telecommuting’ in this toolkit. 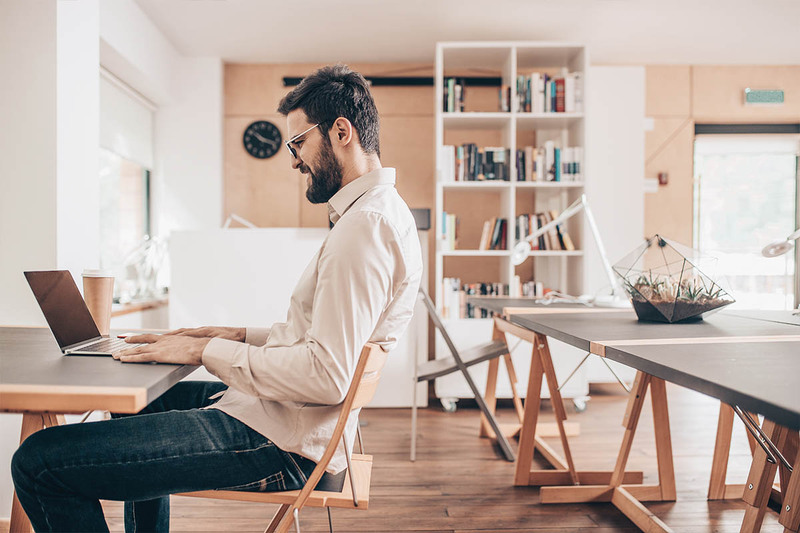 Note that telecommuting is generally most effective when there is a relatively even split between time spent in the of office and working elsewhere. This lessens the sense of isolation that can come from working away from the office. A regular work pattern where you work less than full-time and are paid on a pro-rata basis for that work. Not all part-time work is necessarily flexible in nature, but it offers flexibility to workers who have other commitments or lifestyle choices that are not compatible with full-time work. Purchased leave A period of leave without pay, usually available after annual leave allocation is finished. Employers typically deduct the amount of unpaid leave from the worker’s salary, and this can be done as a lump sum or averaged over the year. Unplanned leave Informal access to leave for unanticipated or unplanned events. Flexible careers You are able to enter, exit and re-enter employment with the same organisation, or to increase or decrease your workload or career pace to suit different life stages. This may be particularly relevant for employees transitioning to retirement. It can also include employees who are able to take a ‘gap year’ early in their careers and return to work for the same employer afterwards. Other choices about hours, patterns and locations of work Other options about when, where and how work is done, e.g. overtime and having autonomy to decide when to take breaks during the working day. Does your organisation actively support flexibility and are these arrangements currently working with other employees? Have you spoken with other employees working flexibility to get their insights? What tools and practices does your organisation support to enable flexible working? Eg Skype for calls, teleconferences etc. Are these commonly used? How will you continue to perform and deliver your role working flexibly? What does this mean for your organisation? Will this new arrangement impact them in any way? What work (if any) will need to stop? If you are considering working from home, have you organised care for your child on those days? How will your team be affected? If you are a leader, what will happen with your team when you are not physically in the workplace? How will you manage work / meetings when you are not physically in the workplace? What are your employer’s legal responsibilities? When thinking about flexibility, it is also important to think about the potential impact it will have on your team members? Will they be required to pick up more work and how will they feel? Don’t let this impact your decision but it’s an important consideration as working flexibly is something that will impact more than just yourself. As you work through these questions, be sure to speak with lots of people and get varying perspectives on what works and what doesn’t. It is really important to understand that flexibility means different things to different people and organisations, and each may embrace it differently. For some organisations, they are in the early stages of adoption (which means you can lead by example) and for others, it’s part of their culture and something they actively promote when recruiting. When you are able to work flexibly, it is brilliant and can be a game changer for embracing work life harmony. For more information, you can find a great toolkit here from WGEA that outlines the process and considerations.